This review is targeted for readers ages 21+. Please drink responsibly. As the summer months warm up, there’s something really relaxing about being able to enjoy a nice cold drink – whether it’s a tall glass of lemonade, or a tall glass of lemonade “with a kick.” I enjoy mixing up fun cocktails when I can, and I’ve been known to blend up some nice frozen margaritas. But when you’re outside, sometimes you don’t want to have to go back inside, get the blender, get the ice, get the mix, get the drinks, etc. It’s so much easier when there’s a drink you can just grab and enjoy. Daily’s Frozen Pouches—America’s Original Frozen Pouches—go right from the store to the freezer…and come out as something truly unique. And, the alcohol is in the bag, so for no-hassle, blender-style cocktails in six delicious flavors, all you have to do is freeze, squeeze and enjoy! So there I was in the frozen aisle section of Walmart when I was greeted by an entire freezer full of already frozen Daily’s Cocktails. That means these drinks are ready to enjoy, right out of the freezer. 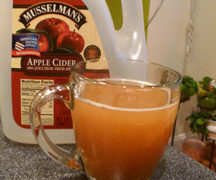 If you aren’t ready for a drink yet, you can also purchase the “off-the-shelf”, non-frozen Daily’s Cocktails and keep them in your pantry. Throw a couple of the Daily’s frozen pouches into your freezer for at least 8 hours and BAM! frozen drink. How easy is that? No blenders, no ice, no hunting down the mix or realizing you’re out of the right alcohol for your drink. Everything is already mixed inside the Daily’s frozen pouch. 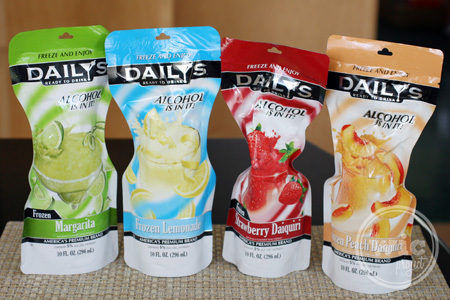 If you’re looking for an easy and convenient way to enjoy frozen alcoholic beverages at home (but only if you’re over 21, right?,) then Daily’s Original Frozen Pouches are a great idea. They came in under $2 for each pouch at my local Walmart, making them much more affordable than “bar prices.” I also like that you can grab a whole bunch of different flavors so people can enjoy their own favorite drinks. Three winners, ages 21+, will each receive a Daily’s beach towel! I’d love to try the frozen lemonade! I have had these and they are awesome! I like the straw idea. I’d like to try the margarita!! I’d like to try them all! i love them all but there is something about that Pina Colada is just so perfect!!! Great review: I have looked at these before and wondered if they tasted like the picture looks. I will get a frozen drink every now and then when we go out to eat. So this might have to work for me in this 90 degree weather right now. i love these they are so gooood! my favorite is strawberry daquiri! wow they look so delicious! i have never had them before but i bet they are amazing!! 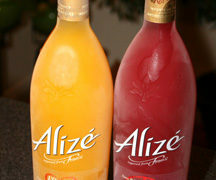 i think i would love the Strawberry Daiquiri one i really wanna try it! I love these!! My favorite is the Frozen Peach Daiquiri but I haven’t found one I don’t like yet. They are all great! Pomegranate acai martini is for me! My sister has been hoarding these for months. She is saving them for her daily me time in her pool. She sits on a chair in a small above ground with her book and her drink. 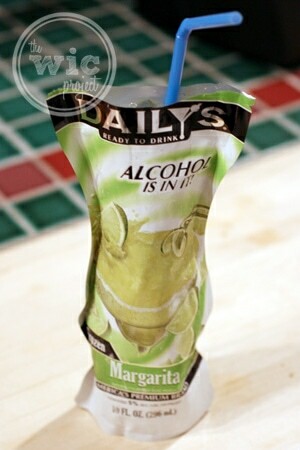 Pretty convenient idea,and I love Strawberry Daiquiris,I just wish the pouches weren’t so wasteful. :/ Maybe if they were made out of biodegradable material..
Yum! They have a contest on their website right now. You can enter to win trip. i love this contest the magarita daily is my favorite and i buy them all the time. I wouldn’t mind an occasional cocktail but alcohol doesn’t agree with me any more. I like the idea of these as long as it’s a kid free day. I wouldn’t want them to take one of these thinking they were for them. I’d ldike to try the Strawberry Daquiri! Pina Colada is my favorite. What a wonderful idea! I can’t believe no one thought of this sooner!! I would love to try the Strawberry Daiquiri! Strawberry Daquiri or Frozen Lemonade – I can’t decide! I want to try the Margarita!! I would like to try the Strawberry or Peach Daquiri or the Lemonade one. I want to try the Strawberry Daquiri! The lemonade or strawberry daquiri sound really good! i would love the frozen lemonade! It is strange that no one thought of this idea sooner, but isn’t it a problem that anyone could buy these Cocktails at a supermarket? With this hot Georgia summer we’ve had I’ve been trying all kind of lemonade concauctions so why not go with the Dailys Lemonade,,,I bet it is soooo goood!! I’d like to try the frozen lemonade. The strawberry daquiri. Brings back good memories. Thanks for the giveaway…Frozen Lemonade sounds good. I would love to try the Frozen Lemonade & Margarita! After I read your review I went to Walmart and bought some! 🙂 I tried the Frozen Lemonade and the Strawberry Daq! Both were very good! Strawberry Daiquiri of course! How perfect are these for the beach since there’s a no glass rule?! I would love to try the Pomegranate Acai Margarita! Tried these before, as well– totally agree with you, so much cheaper than the beach-side bars! I want to try the Margarita. I like the strawberry the best. I want to thank you for this awesome sweep and hope to win 🙂 Thanks !!!! I love the Margarita the best. I’d like to try the Strawberry Daiquiri and the Pina Colada. Strawberry Daiquiri’s are my favorite, thanks so much for the giveaway. Margarita would be the flavor I want to try first, then Strawberry Daiquiri. I’d like to try the Pomegranate Acai Margarita. I wanna try the margarita! 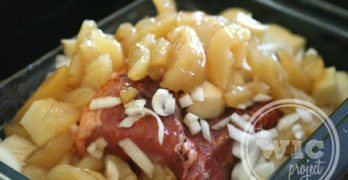 Bahama Mama Punch sounds great! I want to try the Strawberry Daiquiri! i would like to try the margarita!! I have tried a few of these but still wanting to try the frozen lemonade. I want to try the lemonade! I’d like to try the margarita.